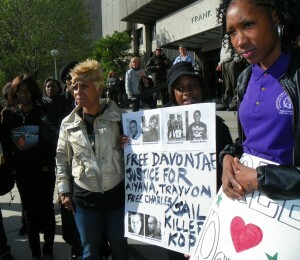 Taminko Sanford (l) and Mertilla Jones (center) discuss their children's cases as Jones' 14-year-old grandson listens April 23. 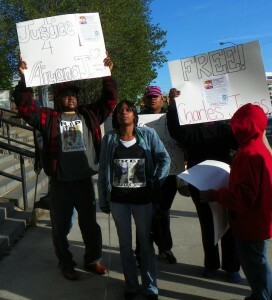 DETROIT – Families and friends of Davontae Sanford, 14 when he was convicted in 2007 of four murders to which another man has confessed, and Charles Jones, father of Aiyana, 7, killed by Detroit police in 2010, rallied together to demand freedom for the two men April 23. It was the first time the families of the two young men met. Their grief and anger poured out in chants of “Free Davontae, Free Charles, Justice for Aiyana,” and “Brick by brick, wall by wall, we’re going to fight until we free them all,” as they marched outside the Frank Murphy Hall in downtown Detroit for two hours. 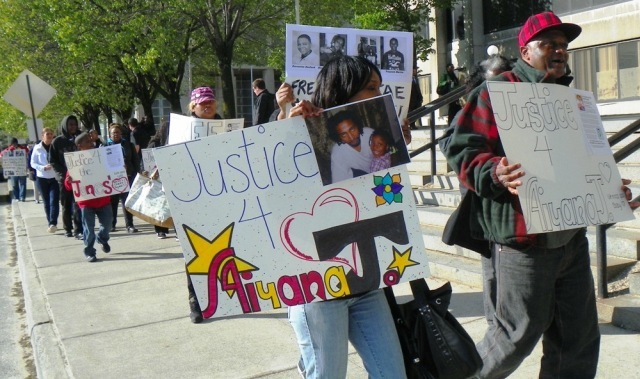 Both Zimmerman, who killed 17-year-old Trayvon Martin in Florida in February and Detroit police officer Joseph Weekley, who shot little Aiyana Stanley-Jones in the head as she slept with her grandmother, are free on bond. Weekley was granted a personal bond after being charged with manslaughter nearly two years later, while Zimmerman’s family raised $15,000 for a 10 percent cash bond. Both killings enraged people across the world. 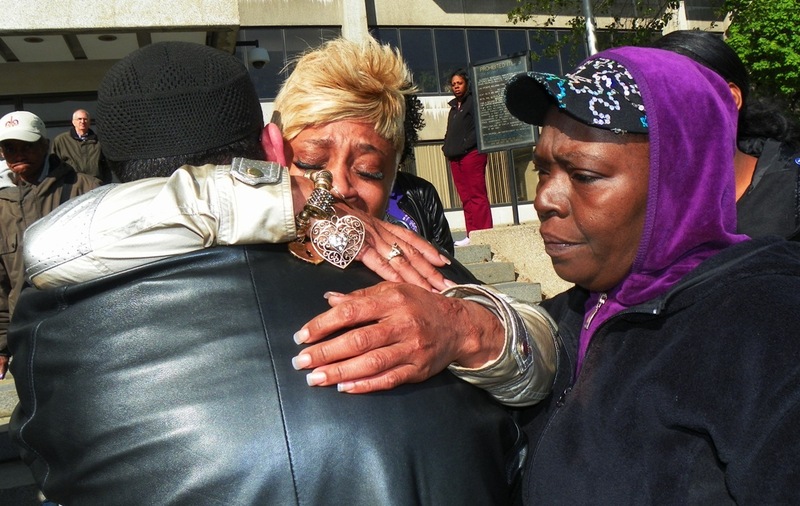 Sanford’s attorneys have now filed an affidavit with the appeals court, in which Vincent Smothers admitted to the drug house killings of four people on Runyon Street and explicitly exonerated Davontae. (Click on ) Wayne County Circuit Court Judge Brian Sullivan refused to let him testify during proceedings on a motion to withdraw Sanford’s confession, obtained by police without the presence of his mother or an attorney. Aiyana’s father Charles Jones faces first-degree murder charges in the death of Je’Rean Blake, based primarily on the hearsay testimony of jail-house snitch and six-time convicted felon Jay Schlenkerman. A final conference for their joint trial is set for May 4, with the trial scheduled for June 20, in front on Wayne County Circuit Court Judge Richard Skutt. “We support Davontae and the family of Trayvon, and all those who are unjustly locked up,” Aiyana’s grandmother Mertilla Jones told the marchers, after she and Davontae’s mother Taminko Sanford spoke with each other and tearfully embraced. 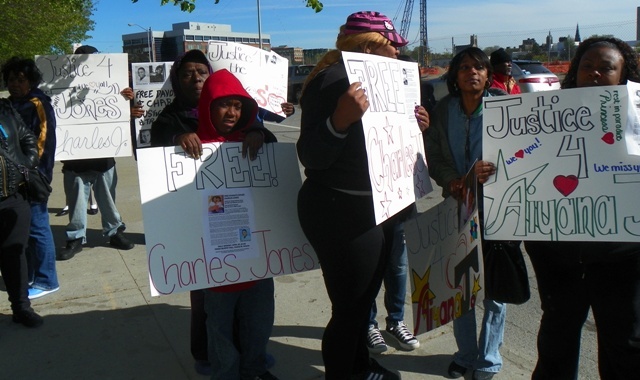 Jones’ daughter LaKrystal Sanders and Aiyana’s mother Dominika Stanley, along with many youngsters and others from the large Jones and Sanford families, also attended the march. Weekley lives in Grosse Pointe Farms, while the Jones family lived on Lillibridge in a poor east-side Detroit neighborhood. Aiyana was Charles Jones’ only daughter of seven children. His mother said police trained guns on his toddlers when they arrested him in his Ypsilanti home earlier this year. A Detroit police “Special Response Team” threw an incendiary grenade into their Detroit home before killing Aiyana on May 16, 2010, as A&E’s “The First 48” filmed the assault, although they knew little children were inside then. Jones said they trampled over the toddlers while rampaging through the house, then grabbed Owens’ 15-year-old daughter and made her and her father sit on the blood-soaked couch where Aiyana died. 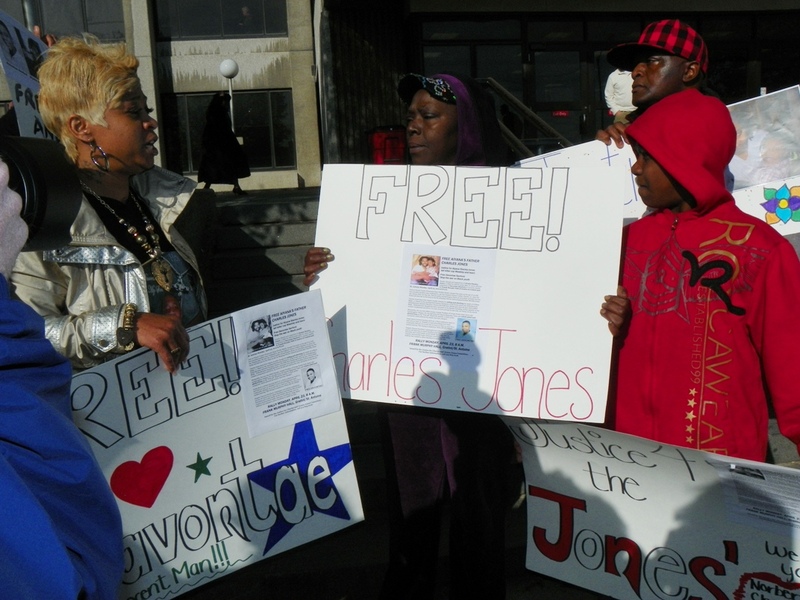 Police threw Charles Jones in blood and glass on the home’s floor, and arrested Jones herself, holding her for several days. They continue to claim in civil lawsuit proceedings that she “interfered” with Weekley. Khalid Fareed Muhammad called for charges to be brought against the officer who threw the grenade through the window, as well as the rest of the team. That team included Kata-Ante Taylor, who according to Jon Marko of the Fieger law firm, ran with Aiyana out of the home before her family could hold her in her dying moments. 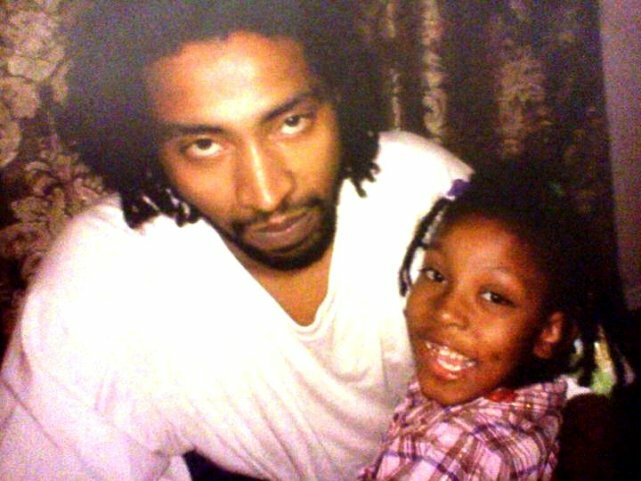 According to eyewitnesses, Taylor executed 18-year-old Artrell Dickerson in 2009, shooting him in the back as he lay on the ground. He never faced charges. 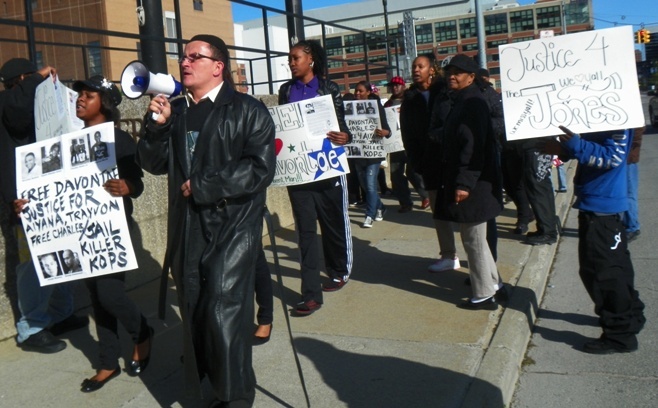 Wayne County Prosecutor Kym Worthy has not charged a single Detroit cop in the killings of dozens during her tenure. 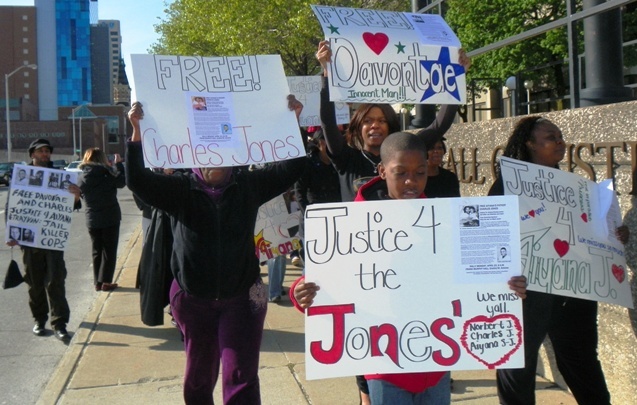 A “grand jury” composed of Wayne County Circuit Court Judge Timothy Kenny brought the charges against Weekley, but it was Worthy who charged Charles Jones. Roberto Guzman, an organizer of the rally, passionately condemned Worthy’s actions in the Sanford case and others he has been involved in fighting. He ended talk in tears as Taminko Sanders and Mertilla Jones embraced him. 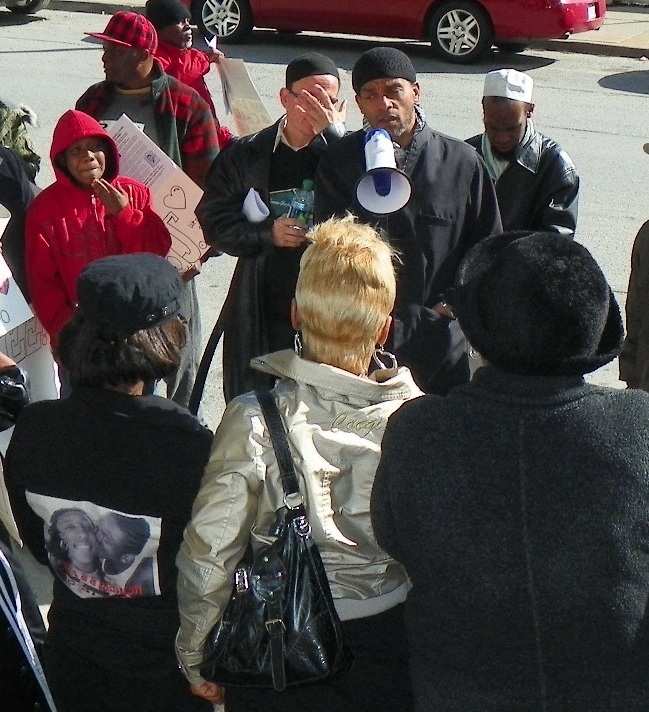 “Why, Ms. Worthy, do you continue to deny this child justice?” Guzman asked in a portion of his talk, which detailed the history and constitutional violations in Sanford’s case. “Kym Worthy knows she can stop the appeals process right now by filing a Confession of Error with the Court of Appeals. . . .Obey the principles of due process, a fair trial and the laws of humanity! . . . .set this child free! You are committing a greater crime in continuing to condemn him to prison, rob him of life, liberty and the pursuit of happiness. He will never be able to get a high school diploma, raise a family and live life to his fullest all because her sin is pride. 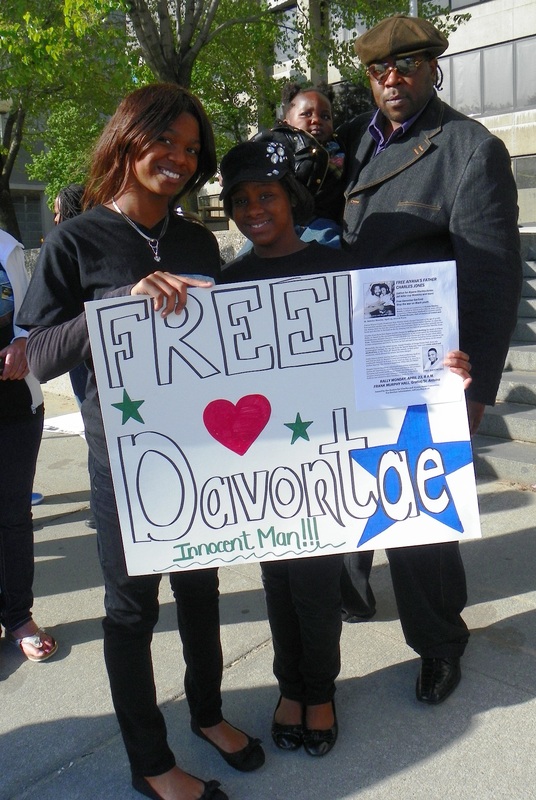 For more information on the cases of Aiyana and Charles Jones, call 313-825-6126; for more information on the case of Davontae Sanford, call 313-272-1406. Davontae also has a Facebook page at http://www.facebook.com/#!/profile.php?id=100002107776225.